THE Government is preparing to release another tranche of funding for the landmark North Quays development, Waterford Today has learned. And Waterford received a double dose of good news as it emerged that discussions have taken place with the IDA with a view to bringing a major financial services company to the city. These developments come just days after a new report showed employment levels are rising in Waterford and the South East. According to the bulletin, Ireland’s South East: Economy At A Glance, shows there are now 187,700 people employed in the region – an increase of 4,300 over the year. Meanwhile, Waterford Senator Paudie Coffey has revealed that a Government announcement in relation to funding for the North Quays regeneration is imminent. The Waterford Fine Gael General Election candidate also confirmed he recently met with potential investors and IDA executives in Dublin to discuss new investment and job opportunities for Waterford in the financial services sector. This is an opportunity and a sector that can greatly benefit Waterford and I am committed to pursuing this. Meanwhile a separate report published last week by academics from Waterford Institute of Technology (WIT) highlighted the attractiveness of living and working here. 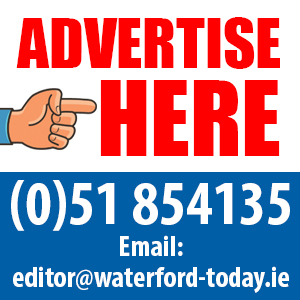 Average graduate salaries in Waterford and the South East are 1.3% lower than in Dublin – a different of around €440 per year. But rents in the South East are less than half of the €24,348 Dublin average.